Cornwall Air Ambulance has been awarded the Investing in Volunteers quality standard for the excellent work the lifesaving charity does with volunteers. It is only the second time an organisation in Cornwall has achieved the prestigious national award*. The charity was assessed against a range of best practice standards and proved to excel in all aspects of working with its volunteers. Jackie Eastwood, Cornwall Air Ambulance Volunteer Manager, said: “We call our volunteers our Groundcrew because the work they do is so vital in keeping the air ambulance flying to around 700 lifesaving missions each year. They truly are the heartbeat of the charity so we are delighted to be recognised for providing them with an environment in which they can thrive. Volunteers play an important and varied role at Cornwall Air Ambulance, including working in charity shops throughout the county, collecting and counting money jars, giving presentations to schools and community organisations, staffing events and carrying out administrative work at headquarters. The charity’s trustees are also volunteers. To find out more, give Volunteer Manager Jackie Eastwood a call on 01637 889926 for an informal chat. Investing in Volunteers is unique in that it is the only standard that focuses on volunteers. It is based on four areas of volunteer management – planning for volunteer involvement, recruiting volunteers, selecting and matching volunteers and supporting and retaining volunteers. 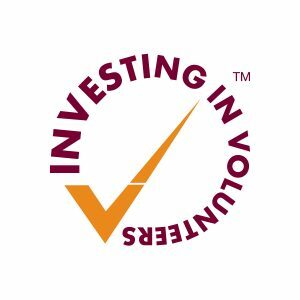 * Coastline housing is the other organisation in Cornwall to have achieved Investing in Volunteers.